Build a Robot | Build 3 unique wind-up robots that walk, wiggle and wave! Discover the science of Robots! Set them whirring into life! 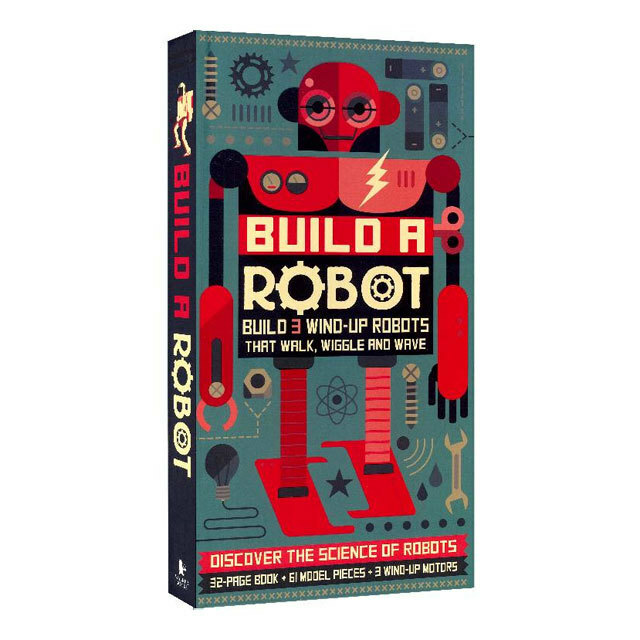 Your fantastic Build a Robot Book Set provides an interactive guide to robots in their many guises. You can discover how robots interact with us on every level, from performing repetitive tasks to exploring the galaxy! 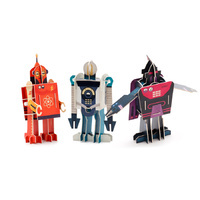 With the 61 model pieces included, you can then build a trio of robots and set them whirring to life, walking, wiggling and waving! Building each robot with its wind up motor will give you a unique, hands on understanding of the basic engineering involved. Each pre-cut piece is clearly labelled to help with assembly, simply follow the step-by-step instructions to slot the pieces together!